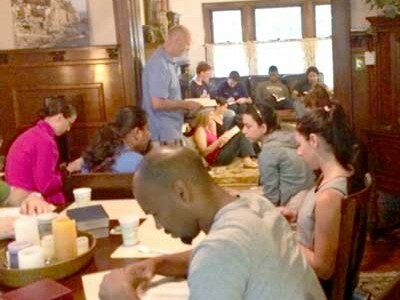 “City Vision Fellowship, A Gathering of Home Churches” has a vision to multiply home churches in the city of Buffalo. There are currently plans to multiply to more neighborhoods. Please join us! Call KJ at 614-309-1549 if you would like more information. Check out the City Vision Fellowship Facebook page for the latest events and happenings! Upcoming events: XSI July 10-12, EvangoLaPalooza August 17. Merge Teen Outreach Program meets Thursdays at 7pm during the school year. Alan Forbes was the founder of the Buffalo Christian Center (BCC). View this video from his memorial service held at Whitehaven Road Baptist Church on 3/5/2016.